I did the best 10 cards in Clash Royale, so now it is time for the WORST 10 cards in Clash Royale. Let me know in the comments if you would change any of these. This time I can include legendaries! Knight- The knight is basically the most unused card in the game, never receiving any buffs or any tweaks at all for that matter, and he stays completely unused. 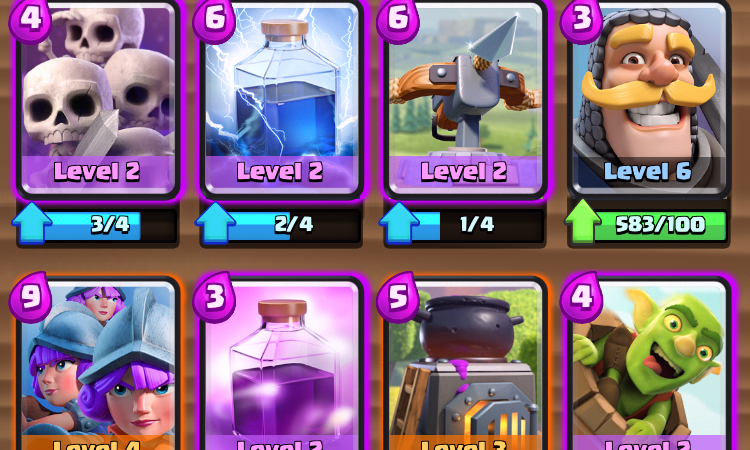 He only costs a modest 3 elixir, yet the more viable options in the mini P.E.K.K.A. and valkyrie keep the knights use to a bare minimum. It has no great value and will continute this way unless Supercell buffs him quickly! Skeleton Army- At the beginning of the game, this is one of the best cards to be played, but later on it becomes too easily beat by arrows, bomber, wizard, and even the explosion of the golem. It is better to just play skeletons as a 1 elixir card vs playing 4 elixir on a card that is easily countered by multiple cards. It is still great at taking out a prince or P.E.K.K.A. standing alone though! Lightning Spell- Out of all the spells in the game, the lightning is definitely the worst. It costs 6 elixir, yet the rocket deals more damage to the tower. Plus, if barbs or minion horde is near the tower, it won’t take out the entire group, since it only targets the 3 troops/buildings with the most health. It is a waste for 6 elixir unless you can take out some units near the tower like the wizard or the musketeer. X-Bow- Ahhh, how the mighty have fallen! The X-Bow used to be one of the most hated, yet best cards in the game. In fact, it got way too powerful and Supercell had it nerfed multiple times. The nerving began to be too much, as it now takes 5 seconds to deploy, more than enough time for your opponent to put down a troop to easily counter this. Such has led to the increased use of the mortar over the X-Bow. Rage Spell- The rage spell is actually a haste spell for those of you who don’t know. The “rage” spell doesn’t actually increase the damage troops do, only their movement and attack speed. While it will effectively carry troops to the tower, after that it turns useless. Not worth the 3 elixir it costs. Fire Spirits- These are one of the newest cards in the game, yet it is difficult to find uses for them. They only cost 2 elixir but they die immediately after they are confronted. Also, they can’t even get a hit off the tower without dying. The range of the fire spirits will be increased in the coming update, so minion horde counter will be ahead. Three Musketeers- This is the strangest, most versatile, most dangerous, easiest card to beat in Clash Royale. It costs 9 elixir and deals insane damage if left uncountered, or even if countered! However, this card can be annihilated with fireball, lightning, bomb tower, or valkyries, leaving it very vulnerable to quick elixir loss. If used correctly, it can be insane, but for the most part it is too risky to play in the middle of a heated battle. Furnace- The furnace spawns a troop that has already made our list, so it shouldn’t be a surprise it is on here. For 5 elixir, you get no damage to the tower, only a viable defense versus the barbarian hut. It simply isn’t worth 5 elixir to spawn 2 fire spirits at a time. Goblin Barrel- Like the three musketeers, the goblin barrel could be debated as a decent card, but it is nearly impossible to use correctly. Almost every player in this game will bring arrows or the fireball; which if timed right can prevent the barrel from doing any damage. The goblin barrel will often make you lose elixir, not a good idea in a game that depends on having the elixir advantage. Miner- Despite being a legendary, the few times I have played the miner it has been relatively weak. I see it as a stronger goblin barrel, unable to be beat by arrows or the fireball, yet it has significantly lower DPS than the goblin barrel. It is a legendary, which means it should be in your deck, but I would advise looking past the legendary title and see how good this card actually is. Thanks ton for reading! If you want to see what my top 10 cards in the game are, click here: https://clashfordummies.com/2016/05/06/top-10-best-cards-in-clash-royale/. Can’t wait to bring you guys more content in the future! And just how would you find a purpose for the three skeletons? The miner is better than the goblin barrel because it is much more reliable. The goblin barrel is easily taken out with a barb barrel, zap, arrows….. and it does no damage most the time the miner though almost has a garenteed 200 damage, and maybe more. But the goblin barrel can act as bait… both have pros and cons! Yeah, until it got a buff and the fire spirits could hit your tower! Is the 3 musketeers still very risky to play nowadays ? Pretty risky! It’s gotten better though. I AM A GOLEM BECAUSE HE IS EATING A FAT FLAMINGO BUT WHY AM I SO AWESOME BECAUSE BOWLER’S STONE IS EATING ME BUT FAT FLAMINGO IS NOT EATING ME SO A HUGE MANGO BECOME A TINY BOWLER. At 5 elixir, it was just way too much! Wait fire spirit used to be the worst? I thought they were always good ! Crazy right? How about that furnace on that old list too?? I think Pekka is the worst. Those are all great cards now! But why do you think knight is bad at that time? Definitely now… this list is from a while ago! I used him in my main deck, as double prince, without Pekka though, he is quite good on support, he can still do a ton of damage when ignored! On offence, I use him on double prince or I use him to tank the witch and if it really reach the tower, dark prince tanks the skeletons and they deal a ton of damage, it can stop goblin gang very well though! Pingback: Top 10 Worst Cards in Clash Royale | Clash of Clans Guide, Strategies, Tricks and More! I think the goblin barrel and miner are not that bad. I’ve seen them used very well before. Same with fire spirits. Some of these cards actually aren’t awful, but I had to choose some! What 3 would you replace them with? You do have a point. 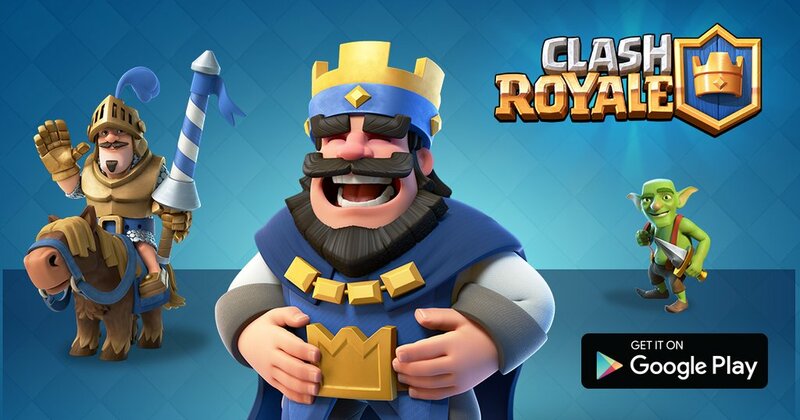 Clash Royale is mostly good cards. There really is no replacement for those, even though they aren’t that bad. And that’s good too! Clash Royale cards should all have a clear purpose!